Season 4 is out, and there is one big change most 'Fortnite' players haven't even noticed. "Fortnite Battle Royale" players have been very excited about Season 4 and it's finally here. The meteor has hit the island and it has caused a permanent damage to a few places on it. Dusty Depot is gone and players can now find a huge crater there instead, Dusty Divot. The game developer has made a few big changes for the new season, yet some of them have gone unnoticed. Most players are busy exploring the new-look map or checking out new Battle Pass rewards, so they haven't noticed some gameplay changes. Epic Games has changed a few things in this patch as well, and another weapon has been moved to the Vault. 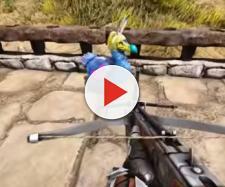 In case you haven't noticed it yet, a Crossbow is no longer in the game. It is not a secret that a Crossbow wasn't a popular weapon. While it was unique as it allowed players to snipe their enemies silently, it underperformed in comparison to the other long-range weapons. The game developer added a Hunting Rifle a few months ago, which made a Crossbow even less popular. Additionally, there are two other suppressed weapons in the game, and both of them have been recently added to the game. It is unknown whether or not Epic Games are planning to bring the vaulted weapon back, but considering that the change was announced only in patch notes, it is not likely that the weapon will be brought back. 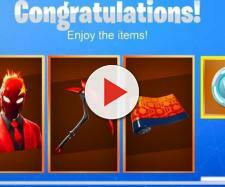 More items moving to the Vault? Just recently, "Fortnite Battle Royale" developer moved a Guided Missile to the Vault. 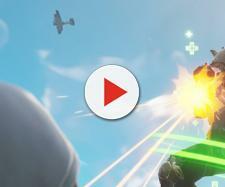 Many players considered this explosive weapon overpowered, and that is why Epic Games removed it from the game. Before the missile, Smoke Grenades and a Submachine Gun had been removed, and players are now expecting even more weapons to be moved to the Vault. Considering that a Hand Cannon and a Revolver are very similar to each other, it won't be surprising if the game developer removes the latter from the game. Minigun could also be removed after the development team added a Light Machine Gun to the game.